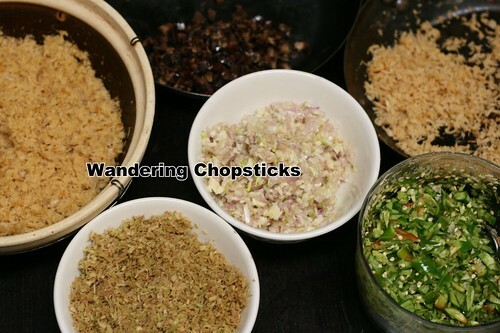 Wandering Chopsticks: Vietnamese Food, Recipes, and More: Happy Year of the Snake! A few days before the lunar new year, my oldest uncle's wife called to tell me to come pick up a banh tet (Vietnamese sticky rice cake). She also gave me some dua mon (Vietnamese pickles) and mandarin oranges. 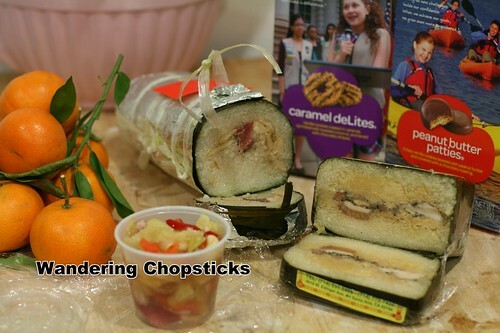 My friend DP gave me the Girl Scout cookies and a banh chung, the northern Vietnamese version of the lunar new year sticky rice cake. Banh tet is the central and southern version. I'm pretty bad about the gift exchange this year and am still working on my half. This morning I met up with my childhood friend for our annual lunar new year meal. 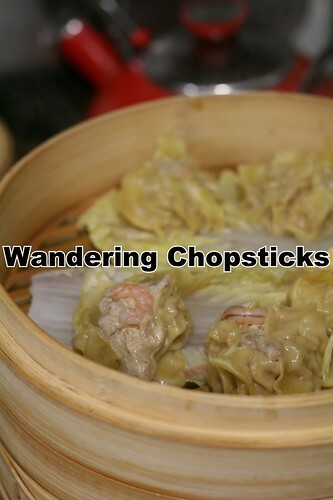 I decided to keep it simple and cheap this year, so we went to my favorite, Luscious Dumplings, Inc. - San Gabriel. 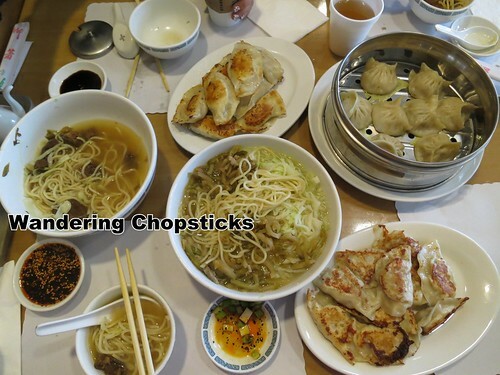 We got the beef stew noodles, pork and Szechuan pickles noodles, soup dumplings, and three orders of potstickers. We got the regular pork and the pork, sole, and cabbage potstickers. My friend's friends liked them so much that we got a third order. Mmm. Gotta love starting off the new year with a tried and true favorite. 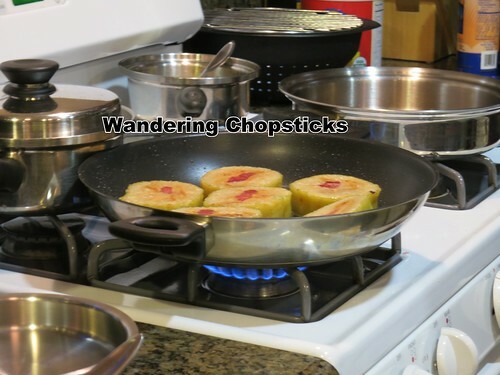 Later that day, I made some Siu Mai (Chinese Meatball Dumplings) to bring to my brother's house for dinner. 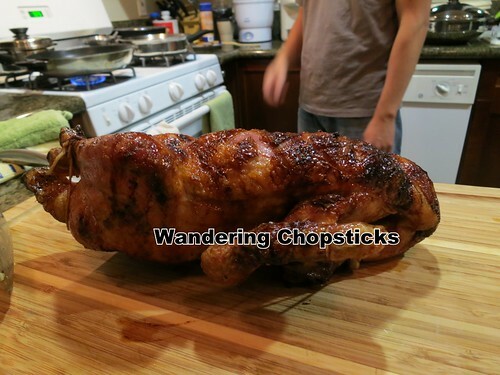 He roasted a duck with a honey orange juice glaze. I brought over my banh tet to share. His friends brought over some vegetables. Working on my Vietnamese-style XO Sauce to give to my aunties and uncles. It's a laborious process. Lil' sis says my mom is sending down some banh tet for us so I can't wait to eat more. 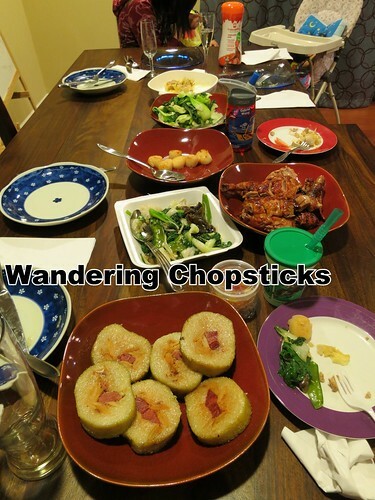 What did you do for lunar new year? 3 years ago today, Banh Uot Xao Bo (Vietnamese Wet Rice Noodle Sheet Stir-fry with Beef), Bok Choy, Broccoli, Bean Sprouts, and Spinach. 4 years ago today, Pasta Carbonara. 5 years ago today, Blood Orange Juice. A bit belated but Happy New Year. Sounds like you had a good family gathering! Happy very belated New Year to you and the girls! Almost Tet again! More banh tet!